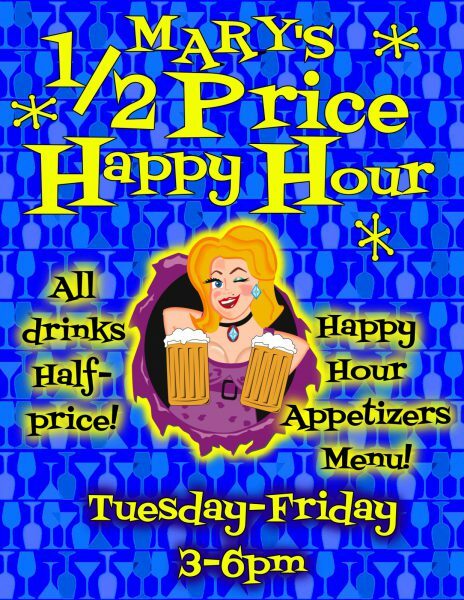 Come to Mary’s for her 1/2 Price Happy Hour. All bar drinks are 1/2 price. And to satisfy those after work munchy cravings Mary’s happy hour appetizers menu gets you full servings of Mary’s amazing appetizers at a deep discount. Get your pals together after work and get to Mary’s for the 1/2 Price Happy Hour!